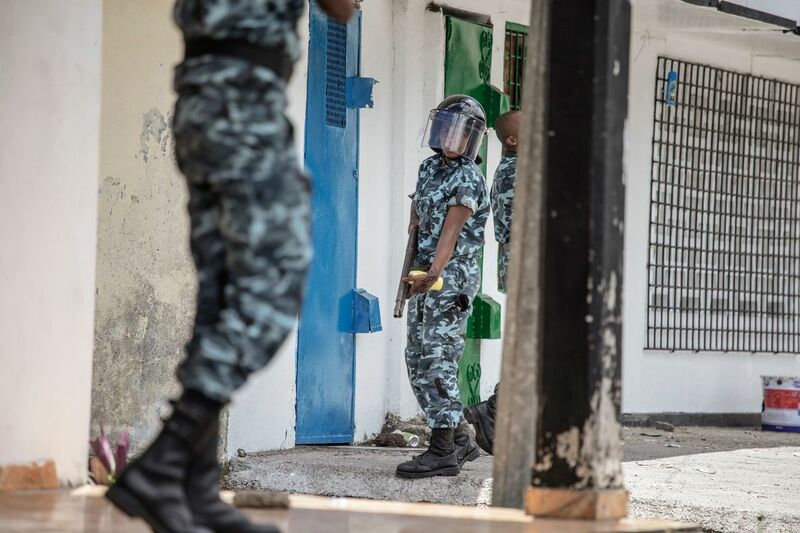 Comoros gendarmerie officers disperse opposition supporters in the city of Moroni on March 25th, 2019. Police fired tear gas and rubber bullets on a crowd of more than 100 as Comoros awaited results of its election, which Agence France-Presse journalists said President Azali Assoumani is expected to win, despite the opposition&apos;s accusations of cheating. 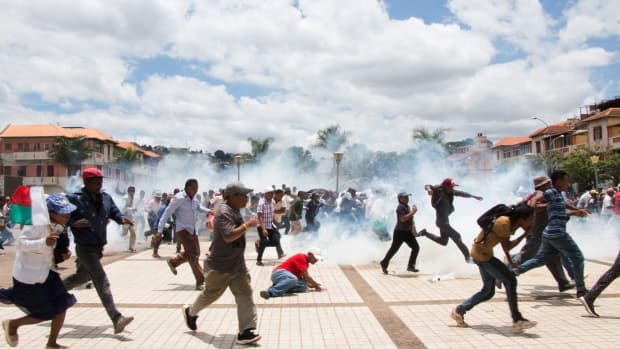 Security forces fire tear gas into a crowd of supporters of Madagascan presidential candidate Marc Ravalomanana, breaking up a demonstration against the country's election results on January 2nd, 2019, in Antananarivo. 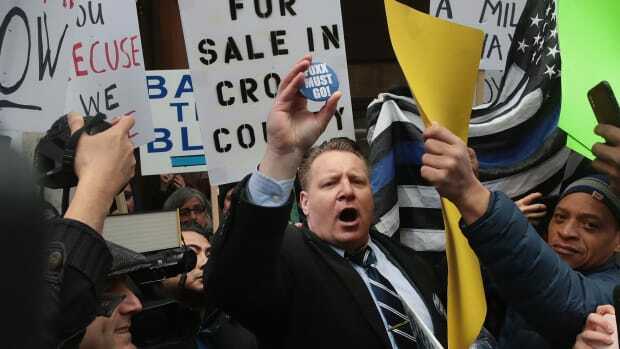 Protesters organized by the Fraternal Order of Police call for the removal of Cook County State's Attorney Kim Foxx on April 1st, 2019, in Chicago, Illinois. 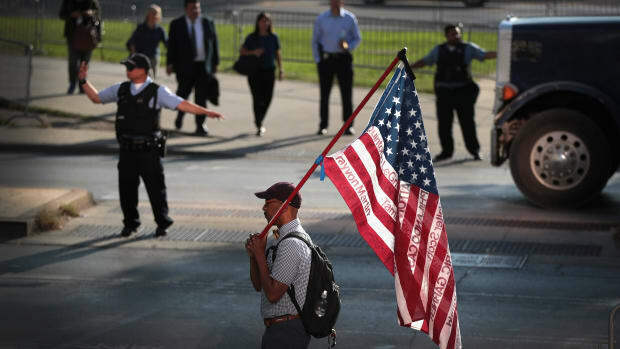 A demonstrator holds an American flag emblazoned with the names of victims who were fatally wounded by police officers. 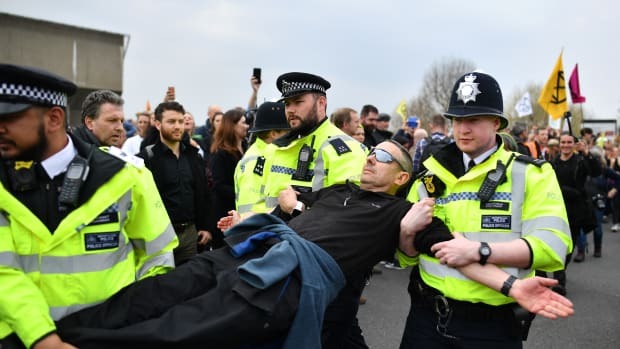 Police officers remove protesters from a blockade on Waterloo Bridge during the second day of a coordinated protest by the Extinction Rebellion group on April 16th, 2019, in London, England. 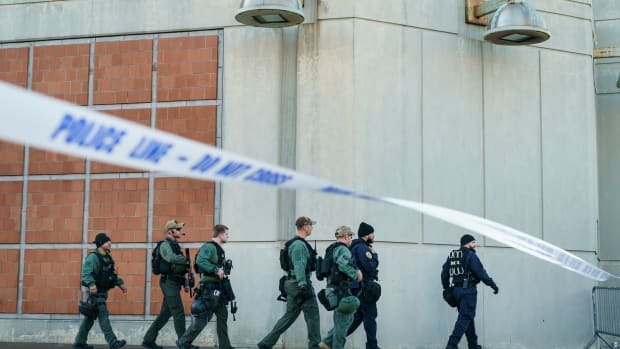 Security staff patrol the grounds of the Metropolitan Detention Center in Brooklyn after reports of a bomb threat at the facility on February 4th, 2019. 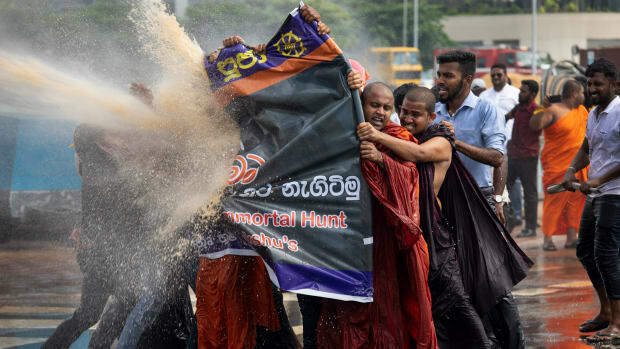 Police fire tear gas and use water cannons to disperse Sinhala extremist monks from Bodu Bala Sena on November 19th, 2018, in Colombo, Sri Lanka.